It's been 5 months since I kicked off The Acne Experiment; last month I started testing out more traditional products. I'll be doing review on two Paula's Choice salicylic acid exfoliators in the next few weeks (the review is here), but before I get to that, I thought it would be prudent to talk a little about why I opted to try these kinds of products, and what they can do for the skin. I chose to try formulated products because I know acne can be caused by a hell of a lot of things. Sometimes acne is caused by products you are using, other times it is caused by products you aren't using, and sometimes it's caused by something entirely unrelated (like diet, hormones, genetics, or environment). I'd be willing to wager that more often than not, it's a combination of all three of these issues. I know that for me at least, there are even zones of my face that respond to certain things better than others. As such, simply replacing existing cleaners, moisturizers, and treatments with natural alternatives may not be enough to cure acne. Often times, more potent active ingredients are needed to make skin clear. 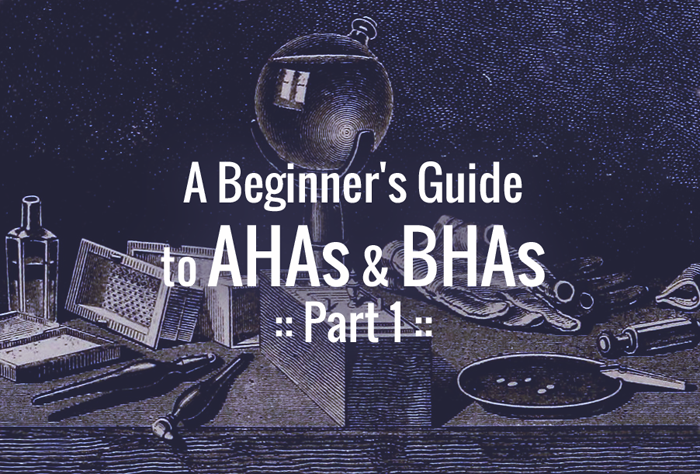 AHAs (Alpha Hydroxy Acids) and BHAs (Beta Hydroxy Acids) are the two classes of chemical exfoliants. Chemical exfoliants work in a similar way to physical exfoliants (like a Clarisonic, microdermabrasion, or a face scrub) in that they remove the built-up dead skin cells to reveal new, smoother skin. Both chemical and physical exfoliation can be beneficial for acne because those dead skin cells are a component to acne formation -- when combined with sebum, they can clog pores. Exfoliation is also beneficial for anti-aging, scarring, and hyper-pigmentation, as well as other non-acne skin conditions such as keratosis pilaris or melasma. Chemical is often recommended over physical because, when applied with the proper technique and dosage, chemical tends to be gentler on the skin. BHAs are most frequently recommended for acne because it can get down into pores, while AHAs tend to be recommended for anti-aging benefits and skin texture improvements. This is not to say that AHAs are not beneficial to acne-prone skin or that BHAs are only for acne-prone skin, however. The combination of the other, non-exfoliant ingredients may determine what works best for your skin. Additionally, some AHAs are less moisturizing, and others have antibacterial qualities. 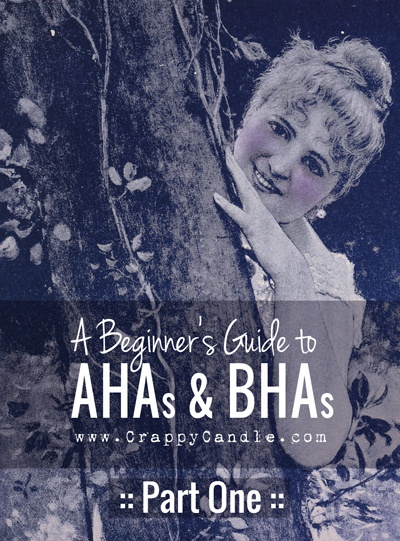 There are a few fantastic AHAs, so if you're looking for something for acne, you shouldn't limit yourself to browsing one kind. Recommended Brand: Bragg or Trader Joes - It's also great in hair, but it stinks while drying. A note on Paula's Choice: Paula's Choice is a very useful resource even if you don't use their products. 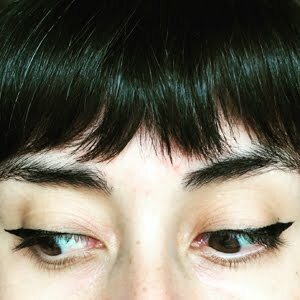 They sell a full line of skincare/cosmetics, but they have a ton of useful articles and something called the "Beautypedia" where they analyze the ingredients and effectiveness of cosmetics from a ton of brands. This is especially exciting if you're like me and enjoy scrutinizing product labels in the middle of the isle at Target. (Almost) Everything I know about exfoliants, I learned from Paula. I'm not sure if my comment posted so I will repost. Nucelle mandelic acid 10% cleared up my skin after trying everything like you have. I also forgot to mention eating eggs helped a lot because of vitamin A. I wish I could eat liver but I can't stomach it. There is a definite connection between the thyroid and hormonal acne. Beautyeditor has a great article on the connection between vitamin A and acne that proved invaluable. Nice write up! Nucelle mandelic acid 10% cleared up my skin after trying everything like you have. I also forgot to mention eating eggs helped a lot because of vitamin A. I wish I could eat liver but I can't stomach it. There is a definite connection between the thyroid and hormonal acne.